1. 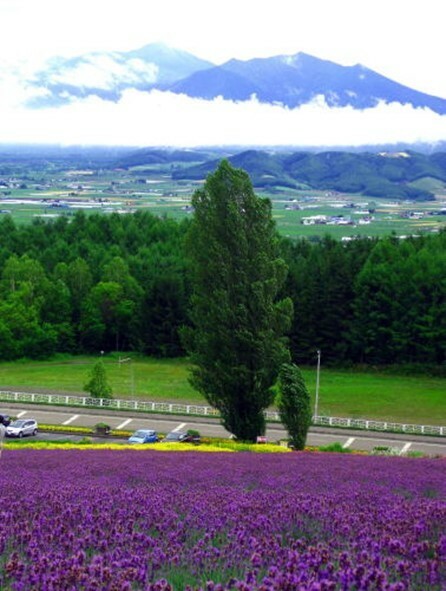 What’s the attraction of the lavenders in Furano? 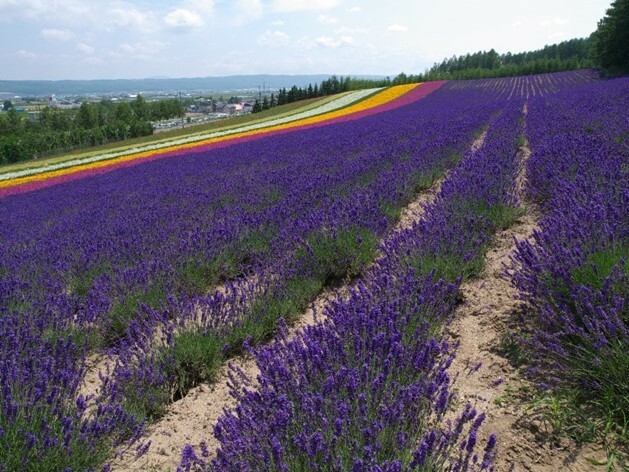 Furano has developed its recognition beyond Japan for having numerous large scale lavender fields. Surely, one of the main attractions is its beauty. 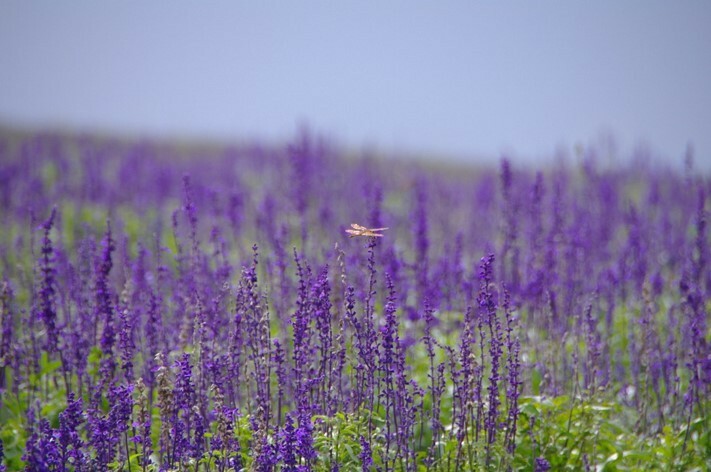 You’ll never get tired of gazing at the boundless expanse of purple flowers. 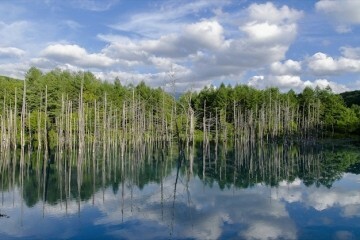 Also, while Japan has a climate with high temperatures and high humidity, Hokkaido is in a cool area. The temperature during the daytime in July, when most of the lavenders are in full bloom, is usually around 25ºC. You can enjoy the contrast of the blue sky, greenery, and fields of purple flowers in the extremely nice and refreshing climate. 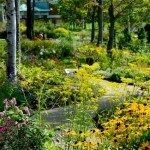 Along with the lavenders, some farms also grow other flowers, such as iris and salvia. 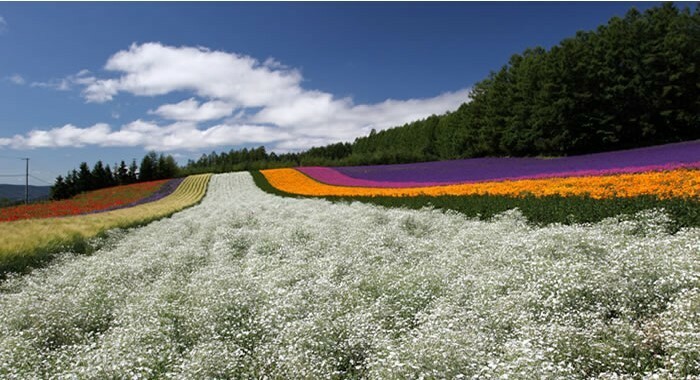 One of the characteristics in Furano is “Hanabito Kaido (Flower Road)”. It refers to Route 237 (which runs from Furano to Nakafurano and Kamifurano). 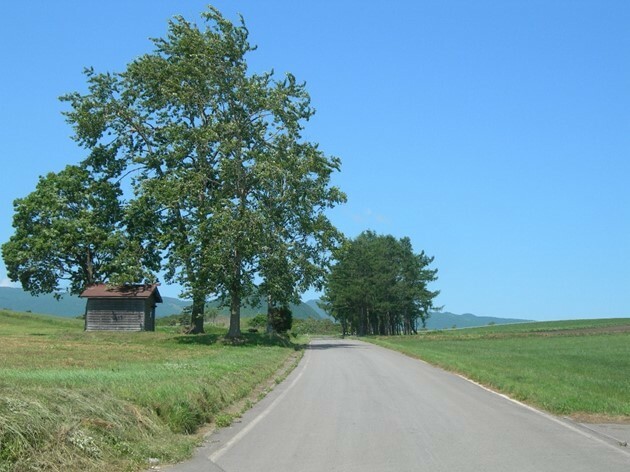 Because many farms are located along this route, you can enjoy each unique farm one after another as you drive. The lavenders are not only meant for viewing. 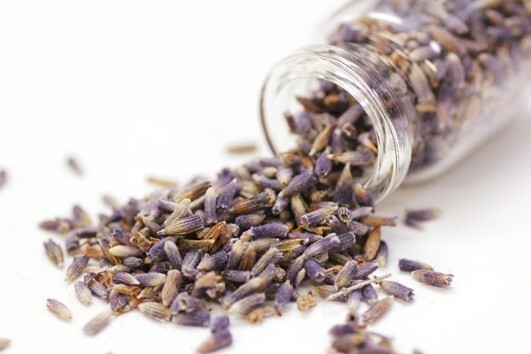 Lavender is a versatile herb that is used in all sorts of things, such as potpourri, aroma oil, herbal tea, skincare, cakes, scones, and soft-serve ice cream. [Potpourri] ; known to have antibacterial effects as well as sterilization and insecticidal actions. A great thing about lavender is that it can be enjoyed not only with the eyes, but also with the five senses. Many of these shops are available in Furano. Conclusion: The best season is from the mid to late July, and the best time is early in the morning! 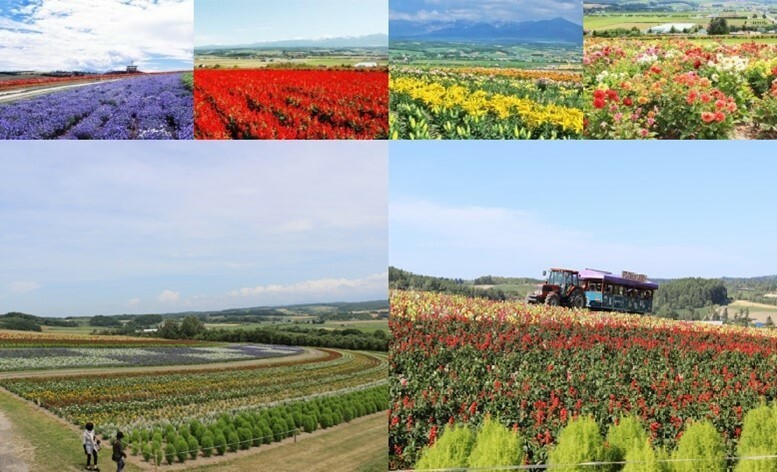 The best time to view the lavenders in Furano changes depending on the type and farm. 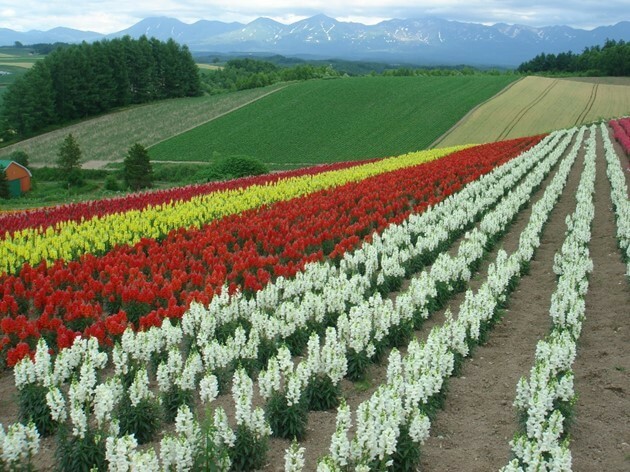 The best season to see “okamurasaki”, which is cultivated in many farms, is around mid-July. The best times to see other major kinds are mentioned below. 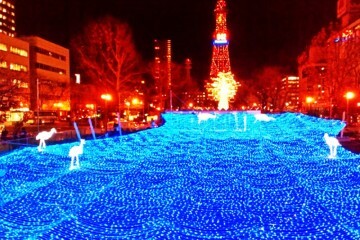 Because the period of full bloom is a short time, it’s also the season with a rapid increase in the number of tourists. Morning is especially the time range with traffic. Tourist buses, coming from the Sapporo area to Furano, depart around 7 in the morning and traffic jams start around 8. If you can go early in the morning and avoid the time conflict with the tourist groups, you’ll be able to spend a good time viewing the lavenders without the crowds and enjoy shopping around 9 to 10, when the shops open. It represents the lavenders in Furano! It’s also often published on guidebooks and posters. So many tourists visit this place that the “Lavender Farm Station” opens for the tourists only during the summer. 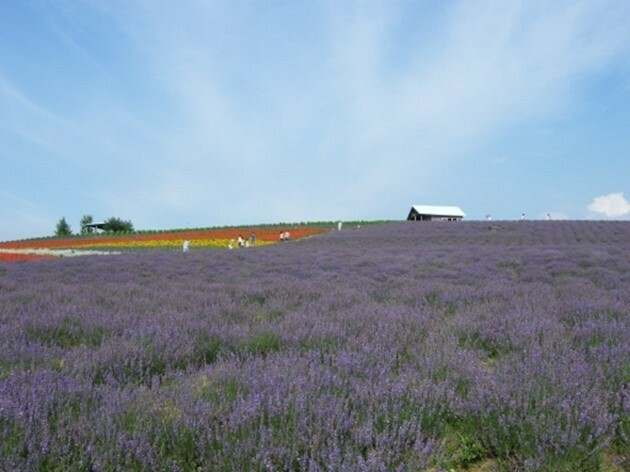 One of the Japan’s largest lavender fields, “ Lavender East “, also opened in recent years (approximately a 7-minute drive from Farm TOMITA). 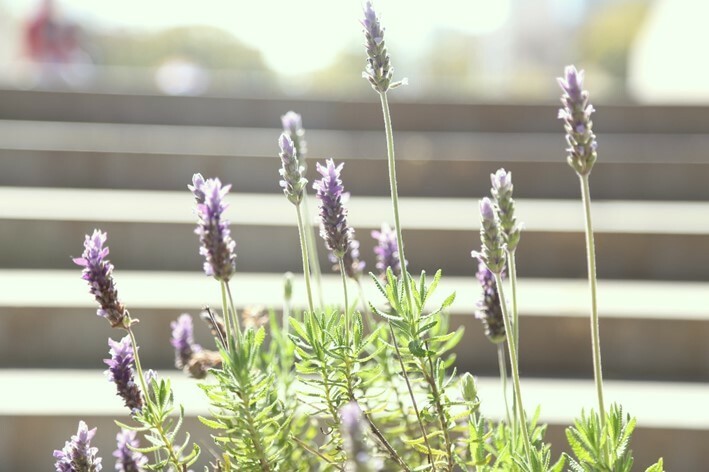 You can enjoy the 360° panoramic views of the lavender fields from the deck here! 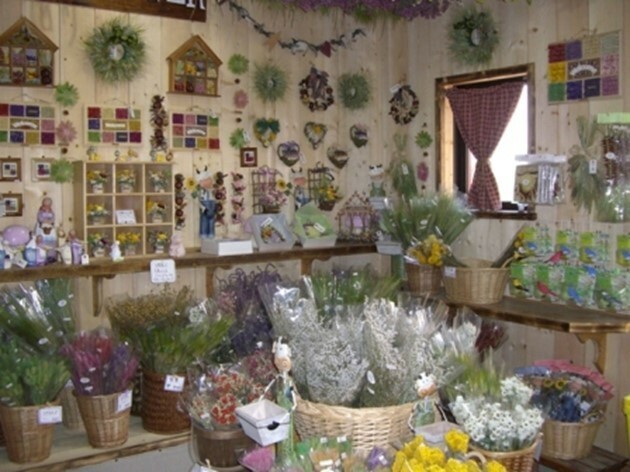 After taking a walk in the lavender fields, visit the shops where they sell potpourri and other items with lavender scent. Various kinds of soft-serve ice cream are also available. 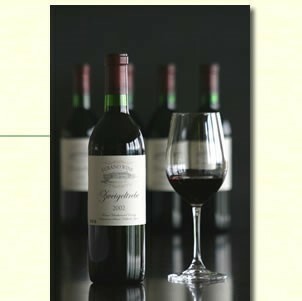 It tastes even better while feeling the breeze in a good location! 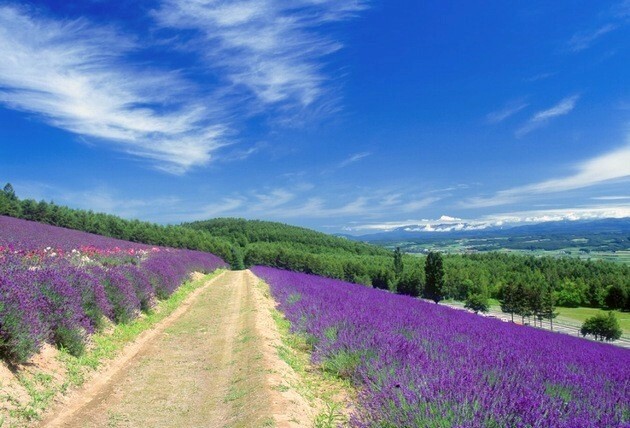 The “traditional lavender field” was why this place became famous. The beauty of the lavenders coloring the slopes was featured on the former National Railways’ (currently JR) calendar and it gained nationwide recognition. 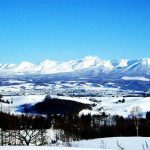 Also, if you climb up to the top of the fields, you can see the rural landscape of Furano Basin and Tokachi Mountains. 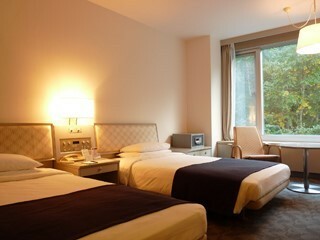 Mainly famous for its lavenders, this place has gathered attention for various events. 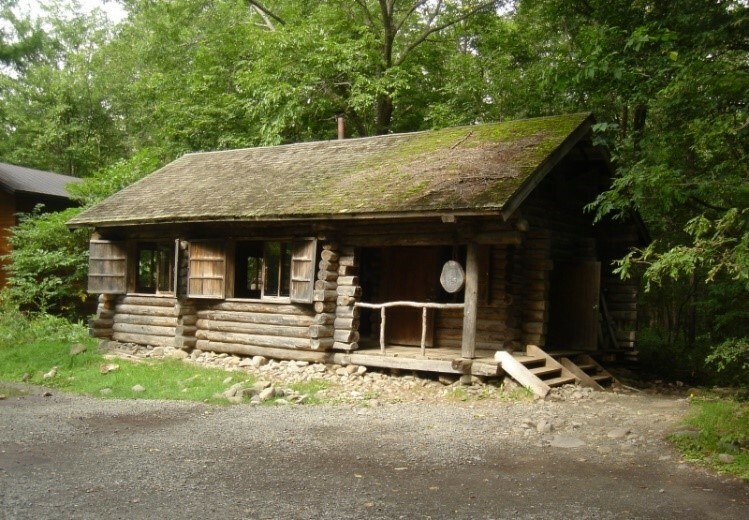 It also became the focus of the media’s attention and was featured in movies and commercials. During the flowering season, fresh lavenders picked in the morning and plants are lined up for sale at shops. Also, many original goods, made by hand one-by-one, and other goods that are only available for that year, are sold. 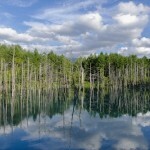 Their vast fields are also wonderful locations that I cannot fully explain with the photos. There are also couples who celebrate their weddings here. They have a wide variety of lavenders! Also, you can enjoy viewing for a long period, from early to late blooms, as they grow several lavenders with various flowering seasons. The major kinds of the lavenders they grow are dark purple early blooming, hanamoiwa, yotei, and okamurasaki. 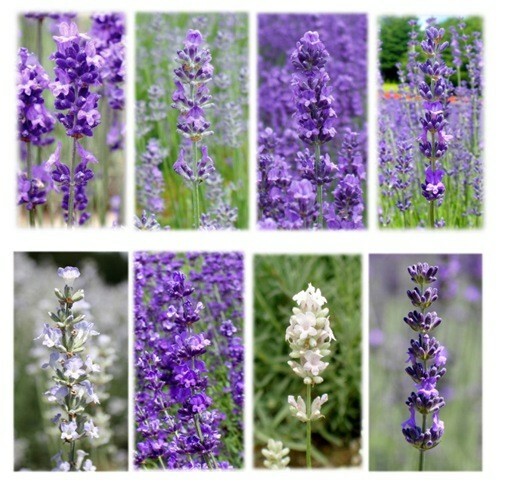 In addition, 8 kinds of lavenders—including okamurasaki (purple/white), narisawa, dark purple (pink), and lavandin—also bloom. 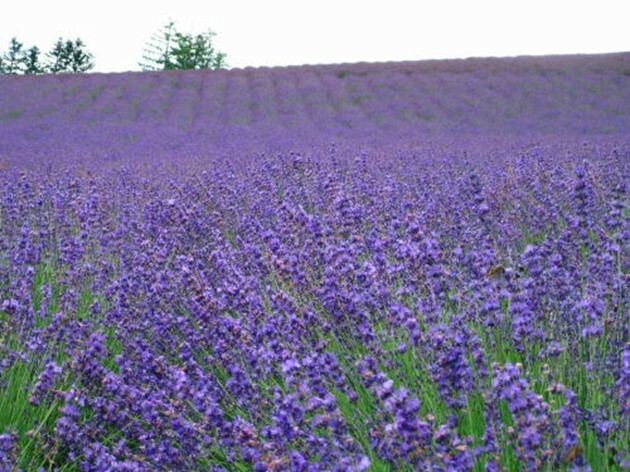 They also hold events, such as lavender picking, for a limited time only. It’s all-you-can-pick as long as it’ll fit in the bag, so why don’t you bring back some lavenders you pick on your own? 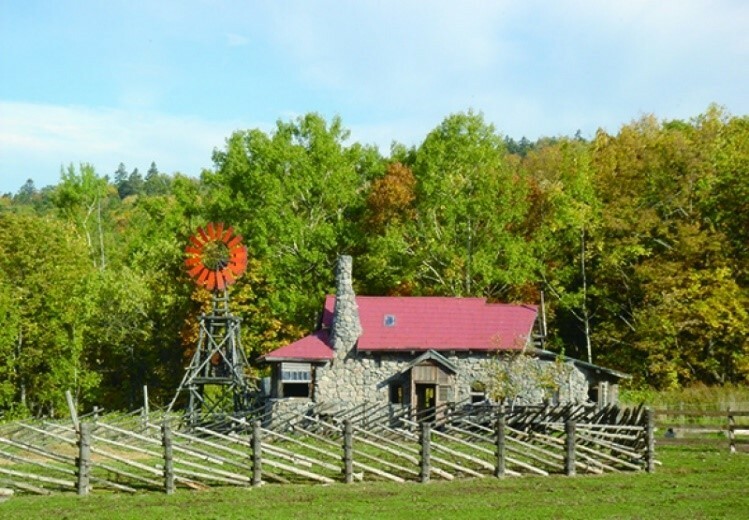 It’s a beautifully colored farm with extensive use of the ground and slopes. Based on their original ideas, there are some fields colored in purple lavenders while other fields present vivid colored flowers along with summer flowers. Every process of planting flower seeds is done by hand. Although it’s daunting work, the carefully planted flowers present stunning scenery when they are in full bloom, as if they are repaying the planters for their hard work. As soon as you step out of the parking lot, you can see the wave-like expansion of lavenders, German Iris, snapdragon, and salvia. Fully enjoy the views at your favorite angle by looking up or looking down from the hill. Many potpourris and dried flowers are sold at the shop “Kinkonkanno”! Cute accessories, that you can’t help but pick up, are also available. Also, they plant crops (potatoes, corns, and pumpkins) by hand and sell them once they’re harvested. Fluffy potatoes, moist and crisp corns, and sweet delicious pumpkins that can be prepared as boiled vegetables, tempura, or salad……Carefully cultivated vegetables are extremely delicious! 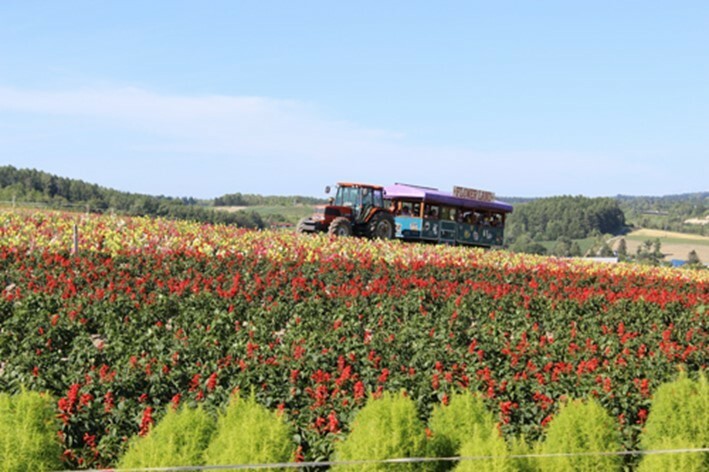 It’s a extremely popular spot for all ages where you can view the flower road by tractor on the “sightseeing tractor bus”. It’s a vehicle that shows you around the highlight areas in an approximately 10-minute lap. You should definitely ride on the freight car, which is attached to the back of the large tractor for work, and which can hold approximately 40 passengers. Also, you can see salvia, lily, zinnia, and snapdragon besides lavenders in July. Recommended Points of the Farm! 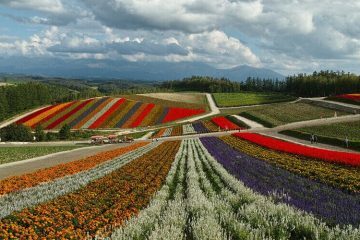 The distinction of FLOWER LAND KAMIFURANO is that they have plenty of “experience-based” spots. 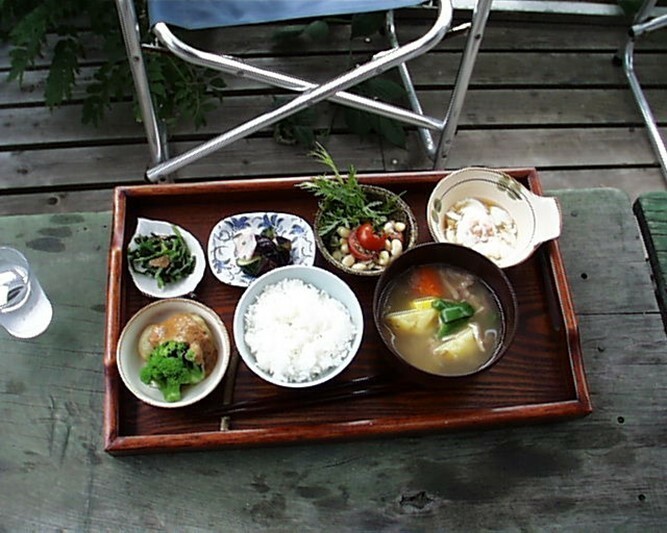 As for the “delicious experience”, for example, you can eat the local fruits and vegetables for a limited time only. There are many exciting experiences such as savoring the juicy Furano melon and biting out of a whole corn picked in the morning. The most popular activity is the one which you fill a pillow with lavender potpourri and make a “good sleep cotton pillow”. 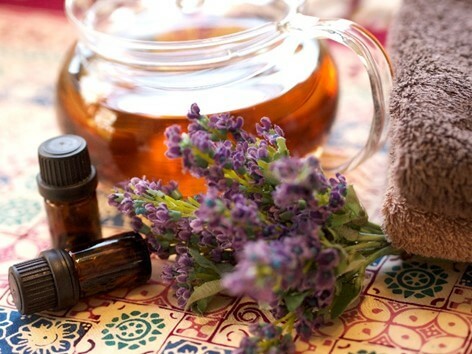 It’s recommended for those who want good sleep and the sedative effect from lavender. 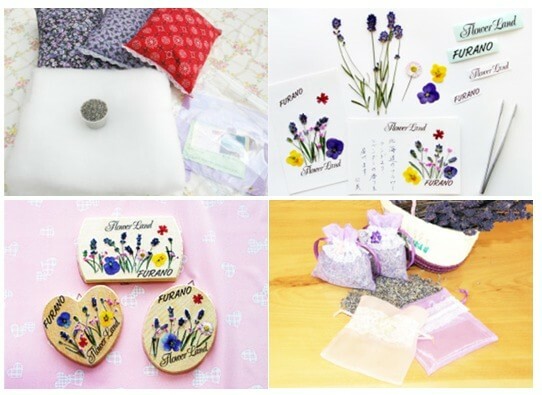 In addition, there are plenty of other activities—making pressed flower post cards that you can just put a stamp on and drop into a mailbox, making pressed flower plates which can be hanged on the door of each room, and picking and stuffing potpourri into a scent bag. 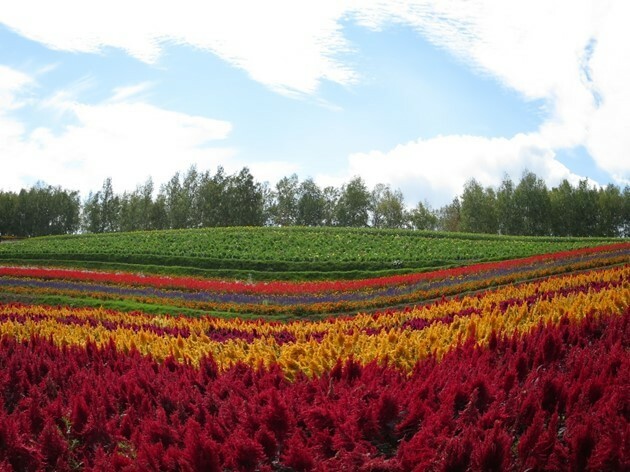 Why don’t you pick your favorite experience and take memories of Furano home? 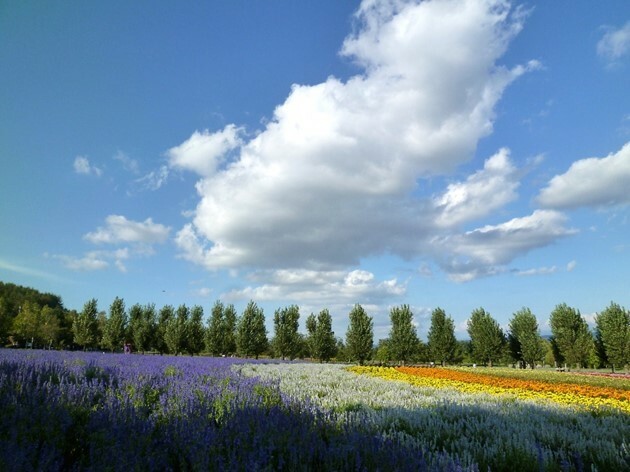 It’s a municipal lavender farm where a ski slope turns into a flower field during spring and summer. It’s definitely recommended for those who genuinely want to enjoy the lavender-focused flower fields rather than sightseeing. The Flower Park next to the lavender farm is also well maintained, and it’s also nice to have lunch while taking in the views from the lawn park. It’s a recommended place to take a break during the lavender farms viewing tour. 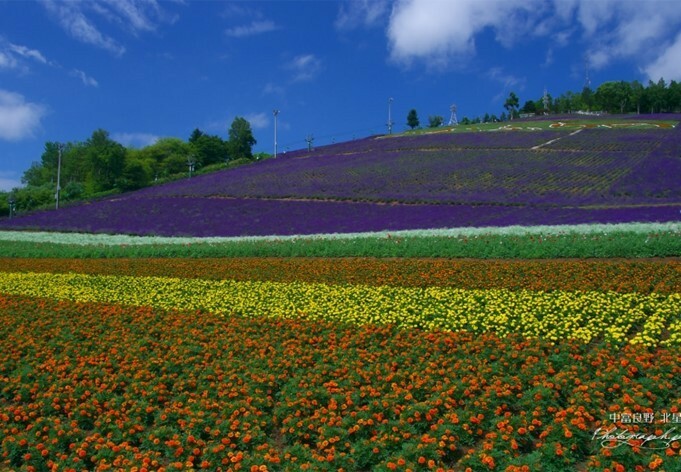 The distinctive characteristic of the Furano lavenders is that “the lavenders are planted on the hills and slopes.” In addition to the lavenders blooming on the 3ha-wide slopes, bright red salvia, cute-looking marigold, and brightly colored begonia are also beautiful at Hokuseiyama Municipal Lavender Farm. It’s also a good idea to take your time looking down on the fields from the ski lift since it runs up from the foothills! 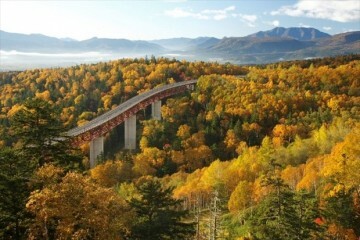 The Route 237, running through Furano, also known as “Hanabito Kaido (Flower Road)”. This plan is for when you want to take an efficient route and visit the major spots. I came up with the ideal travel itinerary for when staying nights in Sapporo and renting a car for a day to go to Furano. As I mentioned earlier, all the tourist buses also head to Furano from the Sapporo area. 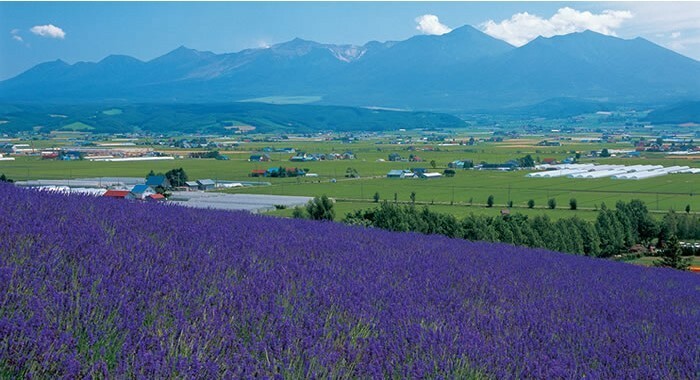 Fully enjoy the lavenders in Furano by skillfully avoiding the traffic jams that may ruin everything! 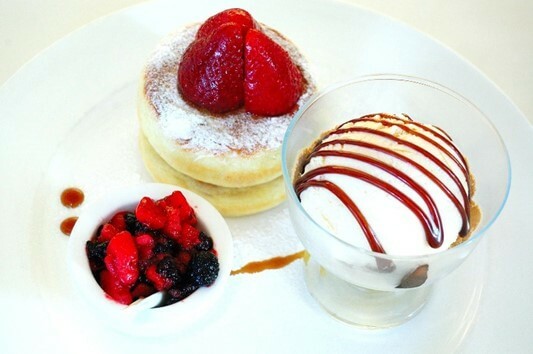 ■ 12:00 pm-1:00 pm Savor the homemade cooking made with original vegetables at “Dococa Farm Tamago Café”. My recommendation is pot-au-feu. ■ 2:15 pm-3:15 Arriving at Flower Land Kamifurano. You can take your time and view the lavenders or try out the activities, whichever you like! ■ 3:40 pm-4:30 pm Arriving at KANNO Farm. Enjoy shopping or a slow walk on the hills. ■ 4:30 pm- Arriving in Sapporo around 6:30 pm. 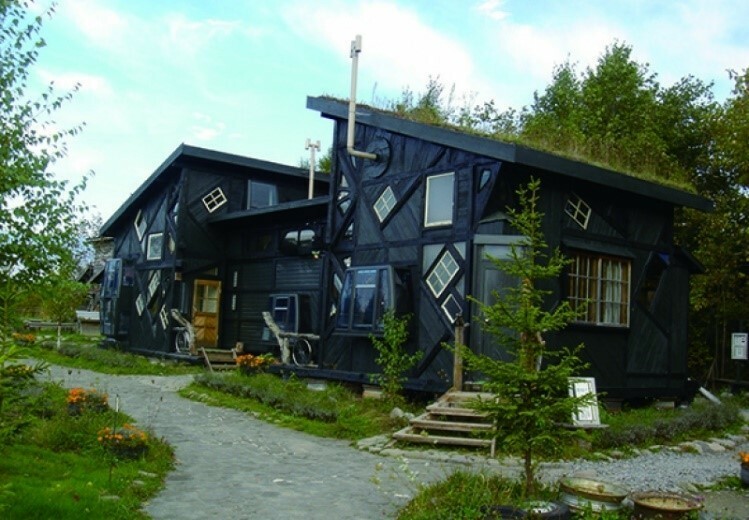 I’m going to show you the ideal travel itinerary which I recommend to those who want to stay a night in Furano and travel with ample time. 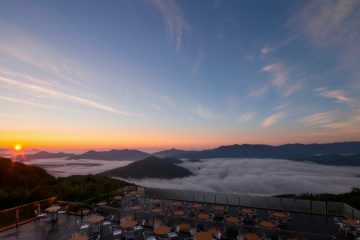 *I’m going to show you an itinerary by which you arrive at New Chitose Airport in the morning and rent a car to head to Furano and enjoy sightseeing, staying at a hotel, and more sightseeing on the next day before returning to Sapporo. 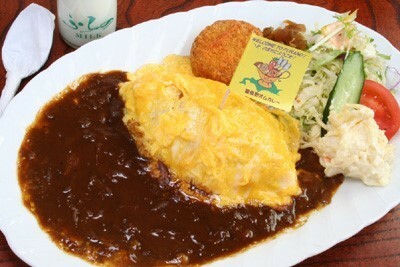 ■ 12:00 pm-1:00 pm Savor the famous omu-curry at “Yamaka Shokudo”! ■ 1:15 pm-2:30 pm Enjoy lavender picking at SAIKA NO SATO! ■ Around 7:00 am Depart from the hotel. 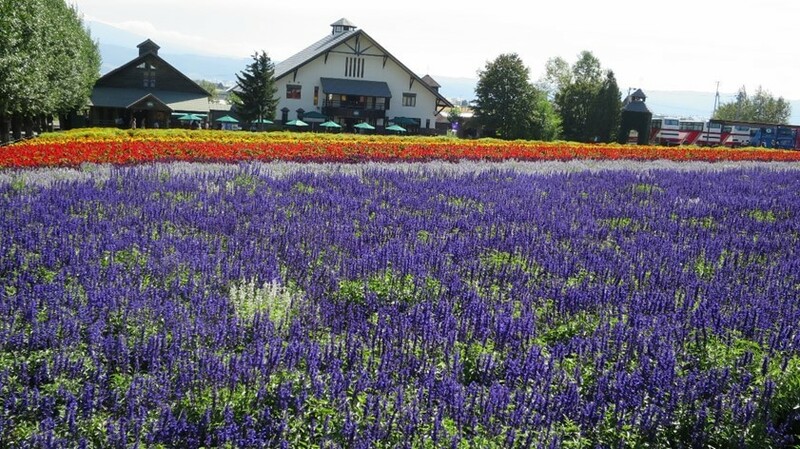 ■ 7:35 am-9:25 am Be the first visitor to view the lavenders at Farm TOMITA, the best spot in Furano! ■ 10:00 am-12:40 pm Return to the hotel and look around the filming locations of the dramas “Kaze no Garden (Garden of Wind)” and “Kita no Kunikara (From the Northern Country)”! ■ 1:00 pm-2:30 pm Savor the Furano-style cheese fondue at the restaurant at Furano Wine House! 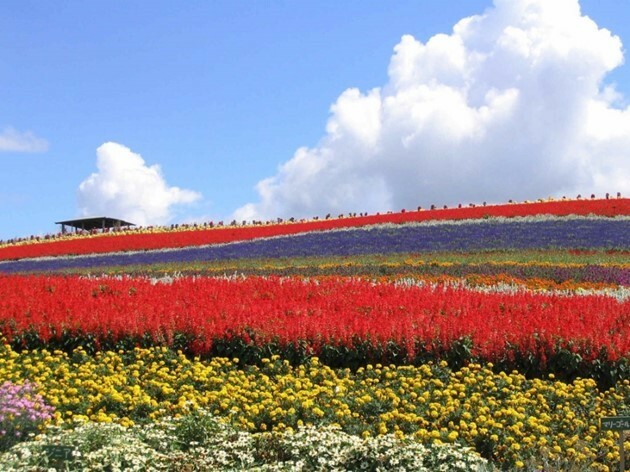 ■ 3:05 pm-4:00 pm Enjoy the large scale flower fields at Flower Land Kamifurano! ■ 4:15 pm-5:15 pm Enjoy the lavenders at KANNO Farm to conclude the trip! ■ 5:15 pm- Depart. Arrive at Sapporo around 7:15 pm. A restaurant famous for omu-curry made with Furano’s Nanatsuboshi rice. Please take this opportunity to try the omu-curry which you should try at least once when visiting Furano.